Is there an optimal set of personality types for a team entering an escape room? We believe so and we’re convinced this translates directly into the business context as well. If you’ve already read our article on Escape Room Strategy – Team Communications then you can skip the next few paragraphs in Italics. Otherwise read on …. Being owners of a mobile escape room for the last two years we’ve seen a large rise in their popularity. We’ve also seen an increase in business teams using these facilities for their team building events and training. Team building and the fun fast pace of an escape room is a great match. We personally monitor each team in the escape room and we’ve noticed clear patterns for success. Specifically, these highly collaborative teams have several common team skills which contribute to their success both in the escape room and, as we find when talking with them after the event, also back in the office. These patterns are so prevalent for the successful teams that we will be sharing these best practices (escape room cheats) in the hopes they will improve your chances in an escape room, but more importantly in the office context as well. So, let’s start with a simple explanation of an escape room for those that are not familiar. If you already know the context for an escape room then you can skip this section. Most escape rooms are a large area where a team can work together to solve puzzles with the goal of exiting the escape room before time runs out. Typically, each escape room has a theme, for example our mobile escape room is a 1960’s themed prison including a warden’s area, real jail cell, and stainless steel toilet. Teams work together to find clues, piece together information, solve puzzles, and ultimately deduce the sequence that allows them to unlock the door and exit the room. So how does team personality type predict success? As we observe the teams that struggle within an escape room we find a common cause can be the personality makeup of the team. Imagine a team of all motivators and persuaders. They’re great at motivating the team to take the hill but they’re not very good with the details and the rigor needed to solve the puzzles. Conversely a team of highly detailed and rigorous folks tend to get bogged down in information and details; usually they enter some form of analysis paralysis. While we cannot promise success, we believe that the following personality makeup for a team will definitely increase the chances of success. I would challenge the reader to see how this parallels a successful team in the work environment. Moreover, if a team is missing one type can someone play the role? Note these are loosely grouped by personality types outlined in profile tools such as DiSC, Meyers-Briggs, or Proscan. They are in no particular order as all are important. Detailed and thorough – An escape room is specifically designed to throw a lot of information at each person. Teams that have someone who can triage the information, find the useful clues, and organize them have a much greater chance of escaping. Without the attention to detail then an important clue can be found but forgotten. 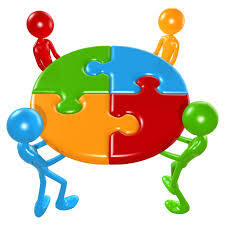 Team player – As mentioned there’s a lot of information to be processed. There is a set of people that enjoy being part of a team and working towards a common goal. If this group is tasked well then they can divide and conquer to parse through a lot of information in order to find the nuggets to be shared with the team. Strategist – Like Mike Tyson said, “Everyone goes in with a plan until they get punched in the face”. At some point almost all teams hit a wall and their plan goes out the window. At this pint the team is doomed without someone that can recognize the issue, step back to strategize, regroup everyone, and then move forward in a new direction. Motivator – Any team without a healthy dose of energy usually burns out, gets discouraged and loses the drive to do their best. Successful teams need someone that can energize the team, lead the celebration for interim successes, and have empathy to help any struggling individual. It’s interesting to note that these types are completely agnostic of age and title. Any team that thinks age or title will help them to be successful is flat wrong. If you’ve made it this far in the article well done! Beyond an escape room I challenge you to think how this applies to your work environment. Without a well-balanced team where everyone plays their role (and is appreciated BTW) then success in the workplace becomes a battle against death by a thousand cuts.